The quasar used for this estimation of the Hubble Constant was HE0435-1223. Located in the centre of this wide-field image, it is among the five best lensed quasars discovered to date. 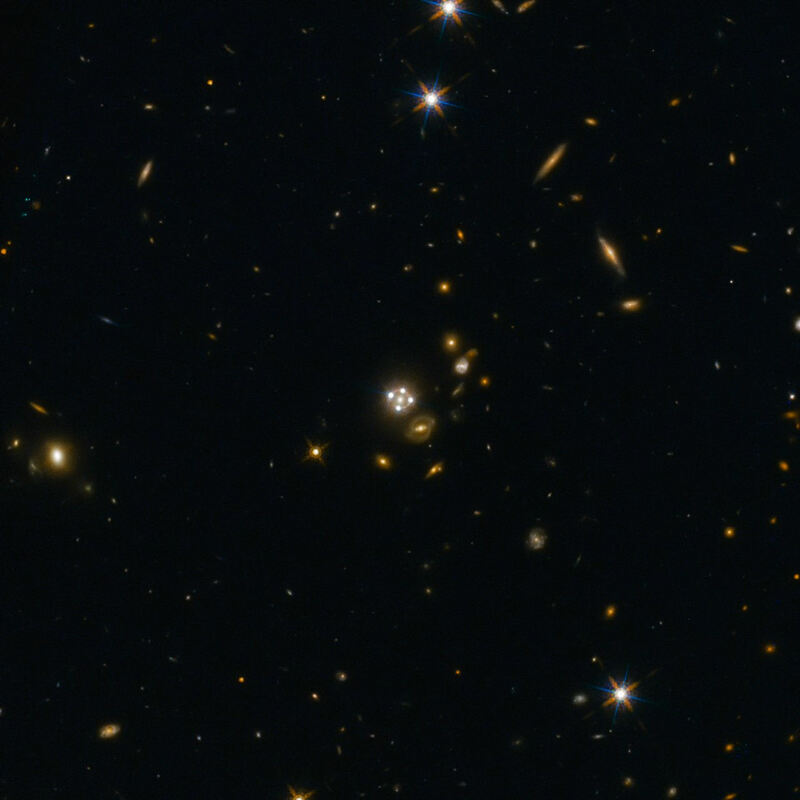 The foreground galaxy creates four almost evenly distributed images of the distant quasar around it. As you can see from the table and graph, below, the Hubble Constant has been revised many times but, since the 1990/80s has tended to around 70 km/sec/Mpc or so. Difficult to know what triggered the mainstream press to pick it up. 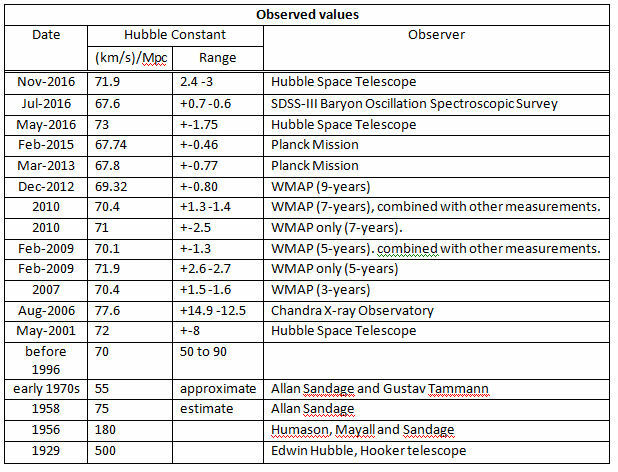 1) This latest estimate is based on a different methodology to the use of Cephid variables and the “Standard candle” of Type 1a supernova. This suggests that these previous approaches are accurate and gives us more confidence is our distance measurements. 2) The Planck data from studying the Cosmic Microwave Background has given a significantly lower figure than the other measurements. The CMB dates from around 13.5 BLyr ago and thus is a measurement from the very early universe. To quote from the ScienceDaily article “While the value for the Hubble constant determined by Planck fits with our current understanding of the cosmos, the values obtained by the different groups of astronomers for the local Universe are in disagreement with our accepted theoretical model of the Universe”. The i : Hubble’s not-so constant: universe is growing faster than expected.